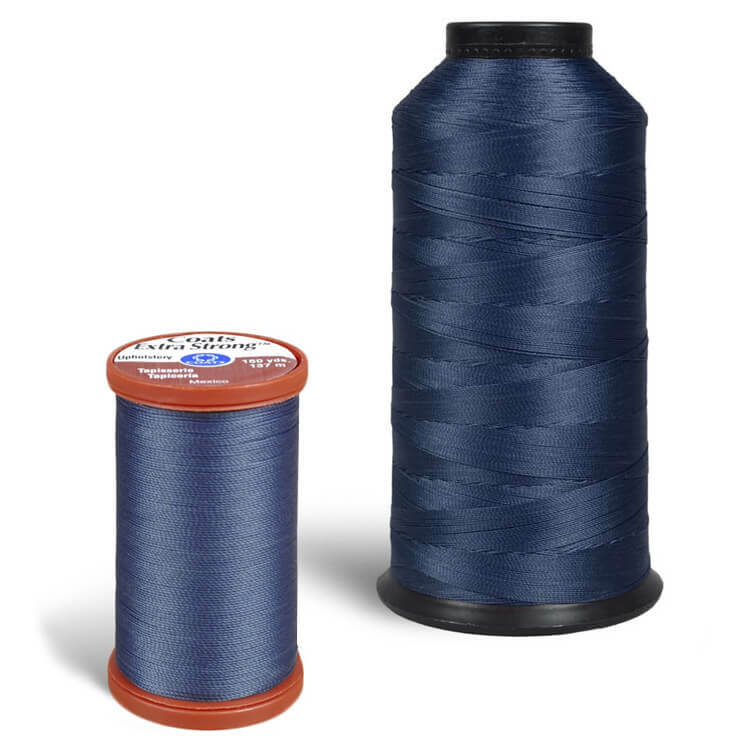 All-purpose thread is fine for many upholstery projects, but when you want extra strength, we suggest bonded nylon thread. Coats & Clark Extra Strong Upholstery Thread is thicker and much more durable than the All-Purpose Polyester Thread. The 3-ply 100% nylon thread is weather, UV, abrasion, and mildew resistant, making it perfect for outdoor projects. A size 18 needle is recommended, although you could also use size 16 in a pinch. For best results, increase the stitch length. We also carry bonded nylon thread in larger quantities.